Adafruit Holiday Gift Guide 2015: Getting started with electronics (kits) « Adafruit Industries – Makers, hackers, artists, designers and engineers! 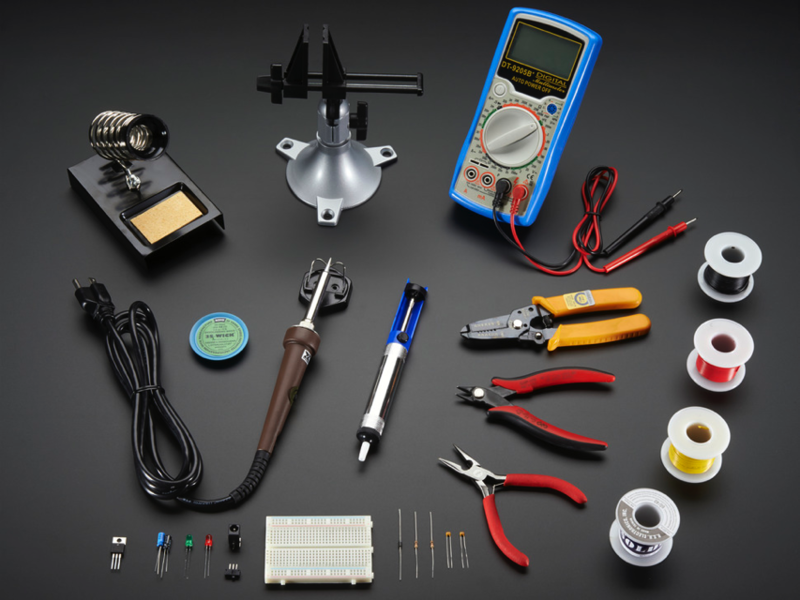 Bring technology home for the holidays and give your loved ones the gift of DIY Electronics. 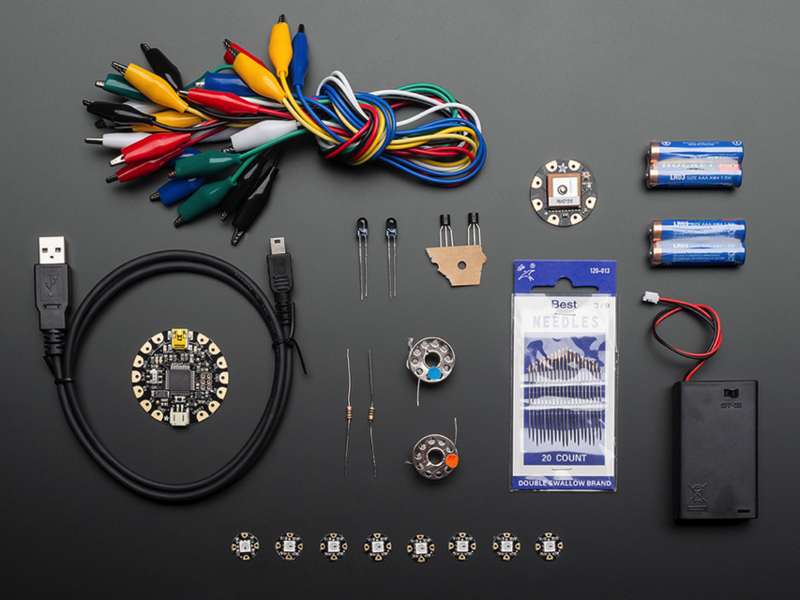 Below, you will find a sampling of kits that Adafruit offers which will please tinkerers, makers, or hackers of any age. Don’t forget to direct your gift receiver to our Adafruit Learning System which can provide instruction while offering opportunities to take their project to the next level! Ladyada’s Electronics Toolkit: Starting out on your electronics adventure? Tired of saying “I’d totally get into electronics if I only knew what tools to get…”? 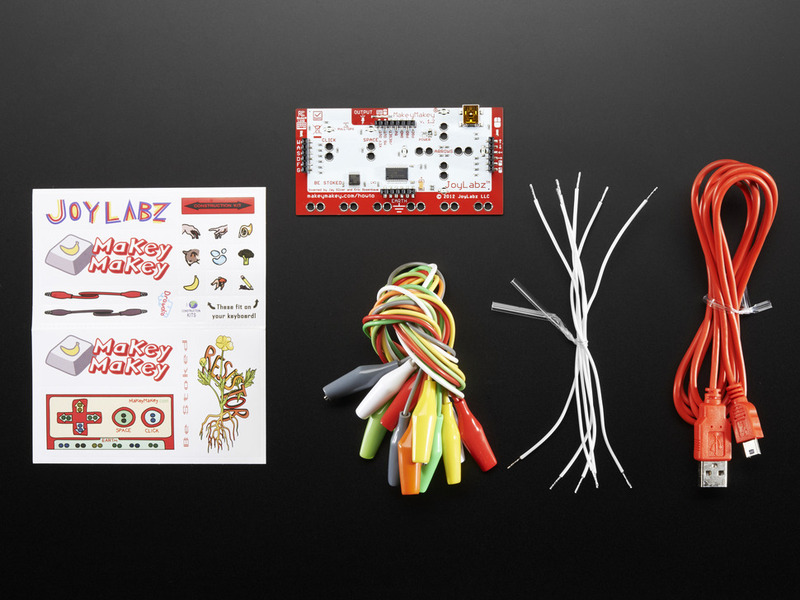 MaKey MaKey by Jay Silver and Eric Rosenbaum – Made by JoyLabz: MaKey MaKey is an invention kit for the 21st century. 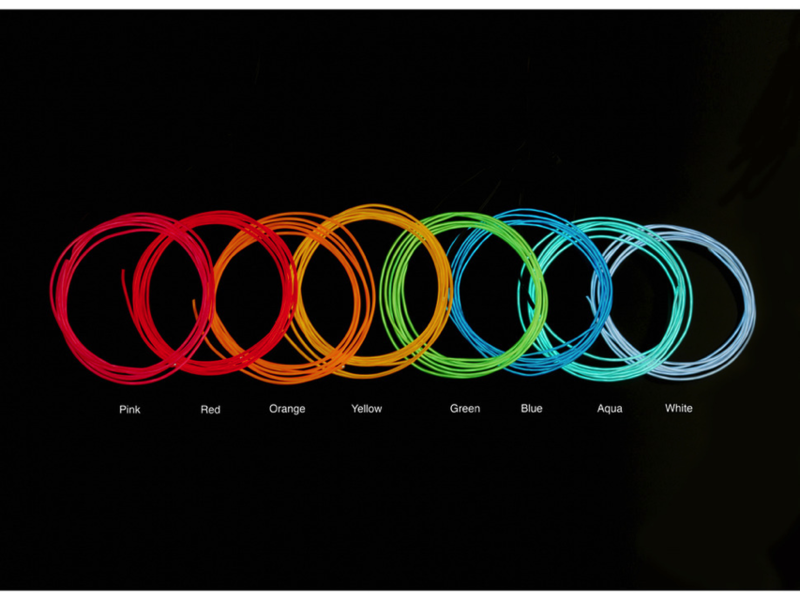 Turn everyday objects into touchpads and combine them with the internet. It’s a simple Invention Kit for Beginners and Experts doing art, engineering, and everything in between. MaKey MaKey was invented by Jay Silver and Eric Rosenbaum & Made by JoyLabz. Find out more details at makeymakey.com or watch the video at makeymakey.com. TV-B-Gone Kit – Universal v1.2: When we were putting together the TV-B-Gone kit, we started imagining a dystopian future, filled with televisions, where this kit would be super useful and we’d be a hero for having one. And while maybe that’s dramatic, the TV-B-Gone is perfect for playing pranks on your friends during the Super Bowl or getting some peace and quiet during dinner. 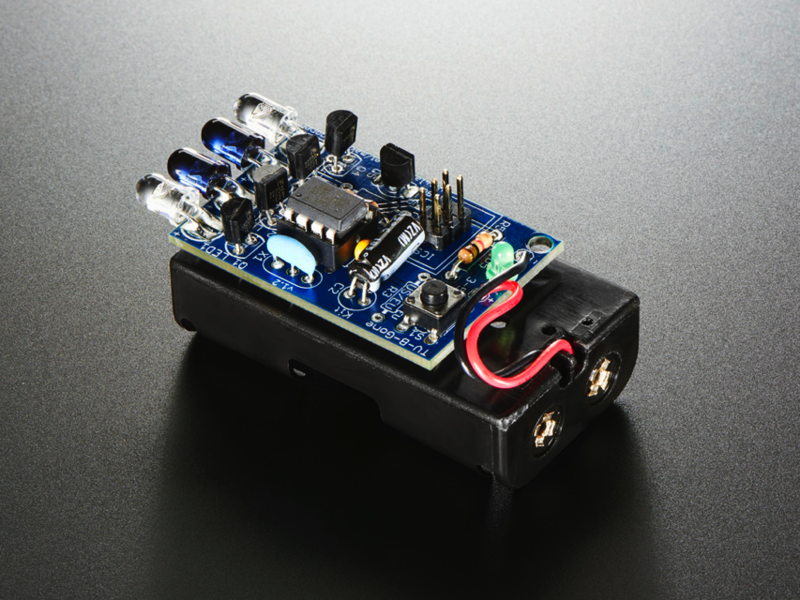 The TV-B-Gone is a kit that, when soldered together, allows you to turn off almost any television within 150 feet or more. It works on over 230 total power codes – 115 American/Asian and another 115 European codes. You can select which zone you want during kit assembly.There’s also lots more info on the TV-B-Gone website. Read more! MintyBoost Kit – v3.0: The world’s first and only open-source hardware charger: The MintyBoost®! 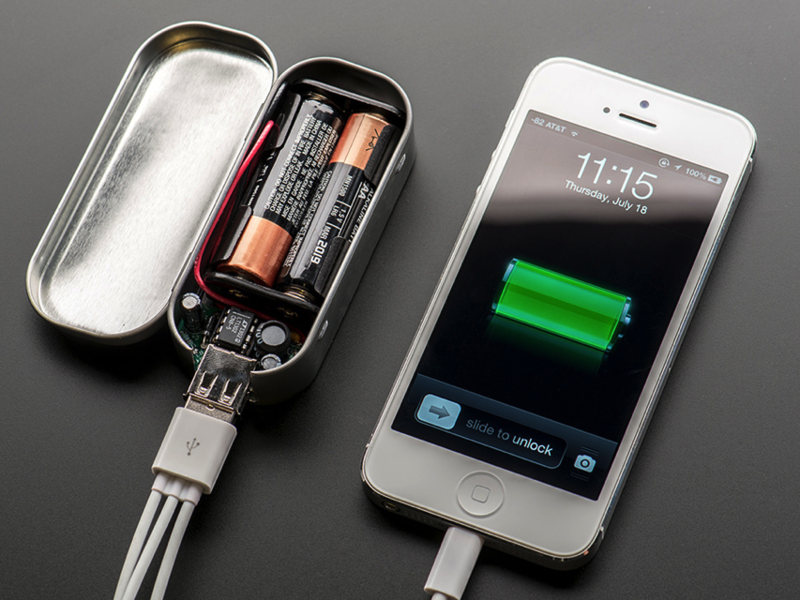 Make your own iPod/iPhone/GPS/etc… battery-pack and recharger! This project includes all the electronic parts necessary to build your own MintyBoost: a small & simple (but very powerful) USB charger for your iPod (or other mp3 player), camera, cell phone, and any other gadget you can plug into a USB port to charge. Conway’s Game of Life Kit – v1.3: In 1970, John Conway came up with a 1-player game called Game of Life. The Game of Life is a mathematical game that simulates ‘colonies’ that grow or die based on how crowded or lonely they are and is known for the way it creates a beautiful organic display out of randomness. Here is a design for a simple electronic project that plays Conway’s Game of Life. Make one kit and keep it on your desk, or attach multiple kit modules together to create a large display. Raspberry Pi 1 Model B+ Starter Pack. You’re going to work hard with your Raspberry Pi B+. You’re going to have to solder, code, and Linux your Maker heart out. That’s why we’ve tried to make it as easy as possible to start – by combining the Raspberry Pi B+ with what we think are the best beginners’ Pi B+ accessories into one easy to use kit. 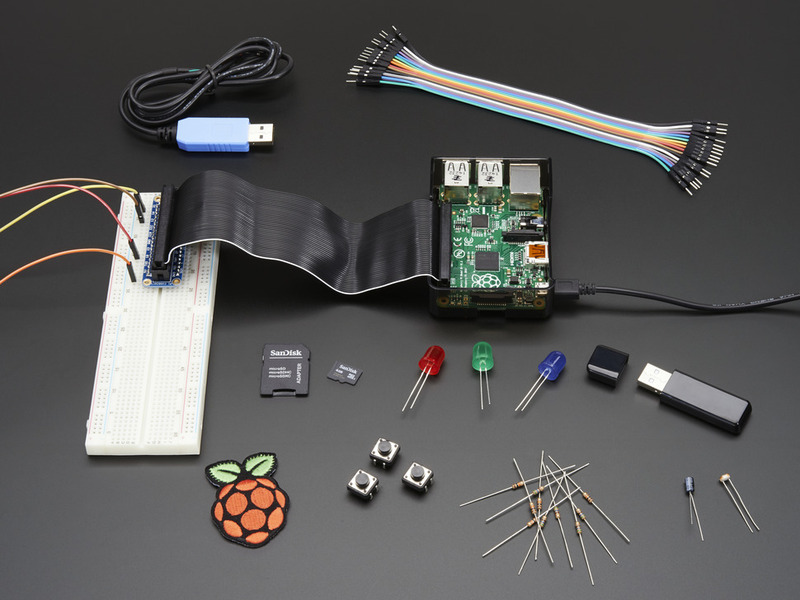 We’ve hand chosen these accessories as the perfect accompaniment to your new Raspberry Pi Model B+. It’s everything you need to get going with a high quality power supply, Raspbian SD card, case, WiFi adapter, console cable, and lots of prototyping essentials. It’s a great jumping off point for the rest of our extensive accessory and pack collection. FLORA GPS Starter Pack: Get started with the fabulous Adafruit Flora platform with this lovely starter kit. Included are plenty of parts to make a few different fun projects! There’s a Flora motherboard, a GPS module that can also perform location datalogging, eight ultra-bright chainable RGB pixels, a battery holder and batteries, two types of our high quality stainless steel thread, alligator clips to help you test out your parts, a USB cable for reprogramming the Flora, and some parts to make a wearable remote control (or TV-B-Gone! ): NPN transistors, long range IR LEDs, and matching resistors. Over $120 worth of goodies, for under $100. 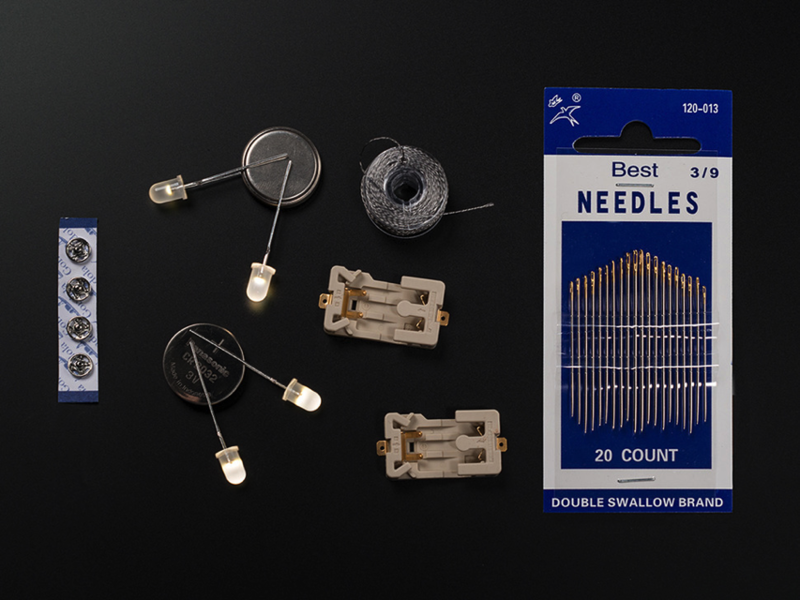 Adafruit Beginner LED Sewing Kit: This kit comes with enough supplies to make two projects with two LEDs each, or one project with four LEDs. Great for embroidery and needlework, light-up jewelry and hair accessories, shoes, plush toys, and more. 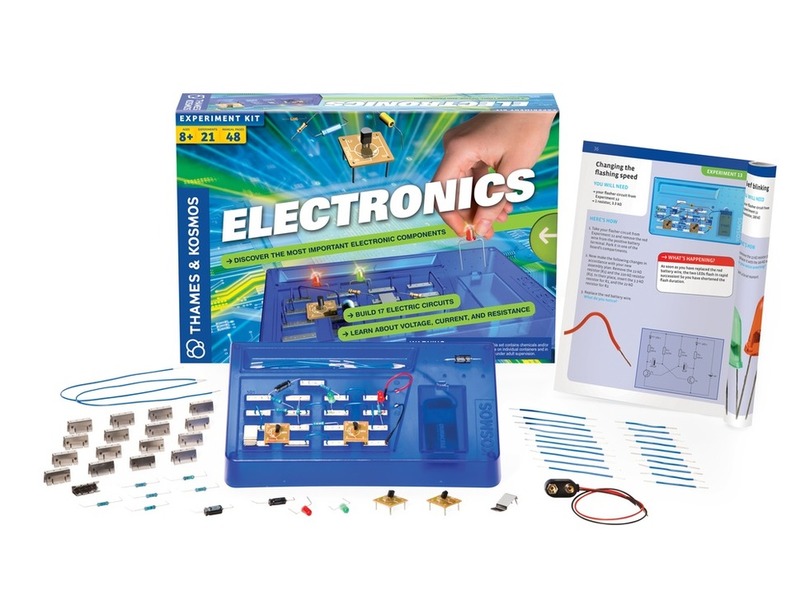 This is a great beginner kit for kids (no soldering!) and adults alike who are looking to get into soft circuits and wearable electronics.